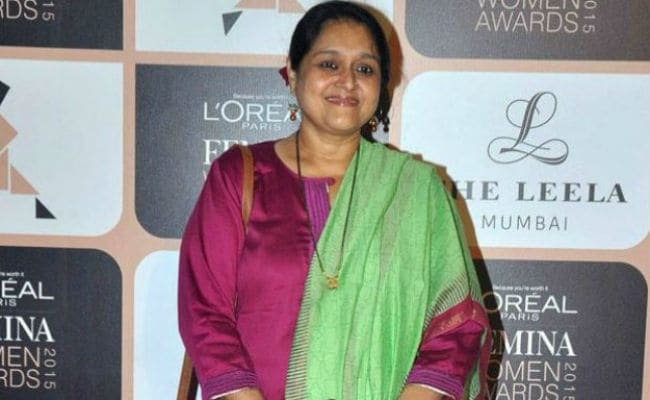 Veteran actress Supriya Pathak, who played an unwed mother in Masoom and an unschooled mom in Wake Up Sid, knows that she plays a mother all the time, but they are different. She says she tries to bring in variations in her roles and she always finds them exciting. The actress has attained a cult status in the country for playing Hansa Parekh in the comedy franchise Khichdi. But the audience also loves her work in films like Bazaar, Goliyon Ki Raasleela Ram-Leela and Delhi-6. While she has played various characters in her Bollywood career that started in the early 1980s, one thing she accepts is that she often gets to essay a mother's role in movies. "I know that I play a mother all the time, but different kinds of mother. Every time I get a role of a mother, I try to find a different area, person or milieu where I can put the mother... That's always exciting. That's the age bracket I am in, so I am going to get a mother's role. It's me who has to make it more interesting and find things to do in it," Supriya told IANS in a telephonic interview from Lucknow. Even in Tigers, which released in India last month on ZEE5, she plays a mother. "I found the subject to be relevant and an important issue to be brought forward. I feel that cinema, if made entertainingly with a certain meaning, reaches out to a lot more people. It makes them aware of issues or things that help people to understand what's around them," she explained. "It was a kind of subject that needed to be told," she added about the movie that tells the story of a salesman, who works for an international company that manufactures baby formula products. When he discovers that the products have killed hundreds of children, he decides to expose the company. "I feel that a film made with so much of hard work, if it doesn't see the light of day... That's a feeling of sadness. Being in the profession of acting, we would like our work to be watched by people. That's the reason why we work and if it is not seen, it is upsetting. "Now that it has come out, we are happy," said the actress. Tigers is not her first international film. She had also featured in UNindian, which starred former Australian cricketer Brett Lee. Asked about working on an international film, she said: "I learnt a lot from the director (Tanovic). He was very clear with what he wanted. He taught me how to look at a character and be precise." The year 2018 also saw her making her debut in Telugu filmdom with Aravindha Sametha Veera Raghava, helmed by Trivikram Srinivas. "I really enjoyed working with the people. It was wonderful. My director was a wonderful person. I hope I get an opportunity to work there again," said the actress, who had starred in the 1985 Malayalam movie Akalathe Ambili. "I am very fond of acting. My only interest, love and passion is acting. Wherever you put me, if you ask me to act, I will be the happiest. I am ready to explore any avenue, any role. Anything given to me which I feel I can do something with, I will take it up," said the theatre actress.